On June 16, 1976 black South African school children protested against the introduction of the language Afrikaans as the medium of instruction. 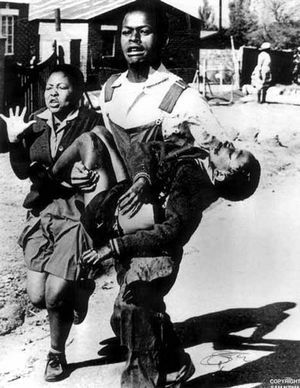 On that historic day, 176 youths lost their lives through the violent repression of the Apartheid state. What has come to be known as the Soweto Uprising is considered to be the pivotal turning point of the anti-apartheid movement within the country. The uprising led to the turbulent State of Emergency of the 1980s and the eventual fall of Apartheid. Today commemorates the role young people played in the struggle against racial oppression.